Are you planning to create a new photography studio and you are not sure where to begin? Or do you already own a Photography Studio and you are looking to expand your camera gear and equipment? 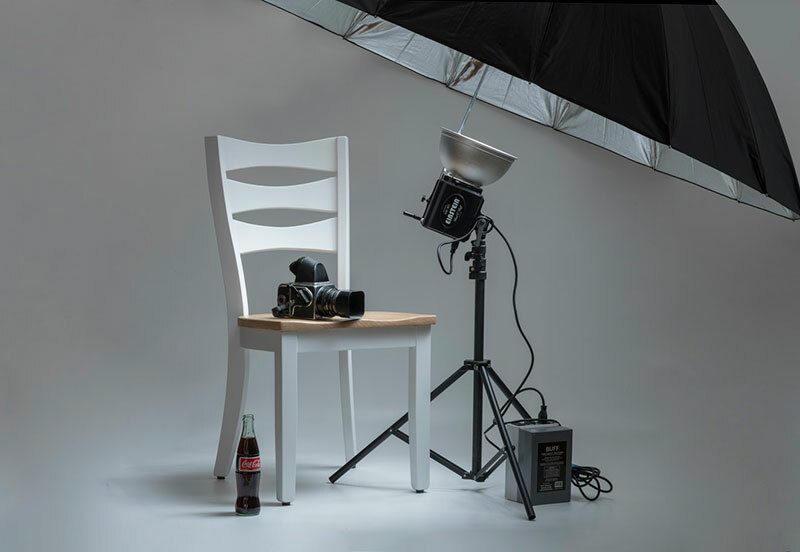 Choosing the right gear for your photo studio may take a while. You need to research and find out what you need and what works best for you and your space. Before you start looking for camera gear and equipment, you should take a look what other professionals use in their photo studios. MisterLocation is a great website to check different kinds of spaces either you live in big cities like in Berlin, Germany, London, UK or New York, USA. Now let’s get deeper and explore the best camera gear and equipment you will need in your photo studio. There are three main options to choose from. Depending on your budget and your business model, select which one fits your needs. This category is suitable for you if you have a limited budget or you are just starting out. First, you will need to purchase a good camera to produce reasonable quality photos. It could not be too pricey. The best camera option is an APS-C camera with at least 24 Megapixels, good Autofocus and colors. All of these cameras produce great image quality and their price range is between $900 – $1500 plus the lens. Besides choosing a camera, you will also need more lenses. You have quite a few options in zoom or primes. Choose one with at least 32GB of space. You will need to shoot in RAW, so make sure you have plenty of space or extra cards. You will also need a card reader to help you transfer the photos from the SD card to your computer. Tripods is another essential photography tool! Check the Geekoto tripod. It is not that expensive for a tripod. To capture clear photos you will need some form of lighting. But since we are dealing with a limited budget, you may not need to purchase lighting equipment at this stage. Just look for Photoflex reflector and use only one LED light or the natural light within the studio. You will also need a tripod stand. Kupo light stand will do well for this task. In addition to this, you will also need spring metal clamps. The best in the market is the MegaDeal Jaw opening clamp. With these in place, you will be good to launch your basic photo studio business. Dynalite Baja B4 is a battery-powered mono-light. If your budget allows it, I recommend you choose two studio lights instead of one. Alongside these, include a 60-degree umbrella from Selens. The Neewer OctoDome will also be suitable for this task. There are other pieces of equipment which will not change much. The SD card, the card reader, and the tripod stands. But you may need to double or even triple some of these pieces since your studio will have advanced significantly. Carry along the Dynalite Baja B4’s but add a third one to make them 3. You can go for B6 Monolight to give you more lighting options. Increase also your light stands to match with the number of monochrome studio lights. It’s also important to upgrade your tripod to 284 CARBON TRIPOD which is manufactured by Vanguard ALTA. Included in this list is also the umbrella which was mentioned in category two, the reflectors, and the clamp. There you have the best camera gear and equipment for your photo studio. As you go out to shop for these pieces of equipment, always keep an eye for quality. If you choose high-quality equipment you will get longer service life and be able to shoot impressive photos with little effort.